A monthly meme to keep up with the latest publications, featuring at least two advance copy reviews to look forward to reading. April is going to be jam-packed with ARC reviews. There are several I’m hoping to read and review for you, including Conspiracy of Blood and Smoke (Anne Blankman, April 21) and The Wonderous and the Wicked (Page Morgan, April 21). Think I can read nine ARCs this month? We’ll see. Cheer me on. In the meantime, take a look at two books I’ll review on the blog this month! Life is almost back to normal for Harper Price. The Ephors have been silent after their deadly attack at Cotillion, best friend Bee has returned after a mysterious disappearance, and now Harper can return her focus to the important things in life. Unfortunately, supernatural chores are never done. The Ephors have decided they’d rather train David than kill him. The catch: Harper has to come along for the ride, but she can’t stay David’s Paladin unless she undergoes an ancient trial that will either kill her or connect her to David for life. HI HEY WHOA I love this trilogy. It’s fun, it’s Buffy meets Southern culture, and it’s just so gosh-darn unique I can’t help but devour it. Looking forward to entering Harper’s Paladin mind once more! A year after her husband’s sudden death, Tilda Fordwells moves into the secluded Welsh cottage that was to be their new home. The lake in the valley below her cottage seems to spark something dormant in her – a sensitivity, and a power of some sort. Animals are drawn to her, electricity shorts out when she’s near, and strangest of all, she sees a new vision; a boatful of ancient people approaching her across the water. On this same lake in Celtic times lived Seren, a witch and shaman. She was respected but feared, kept separate from the community for her strange looks. When a vision came to her of the Prince amid a nest of vipers she warned of betrayal from one of his own. When Tilda explores the lake’s ancient magic she discovers Seren, the woman in her vision of the boat. As Tilda comes under threat from a dark power, one reminiscent of Seren’s prophecy, she must rely on Seren and ancient magic if death and disaster are not to shatter her life once more. If it involves Wales and Paula Brackston, I’m down to read it. 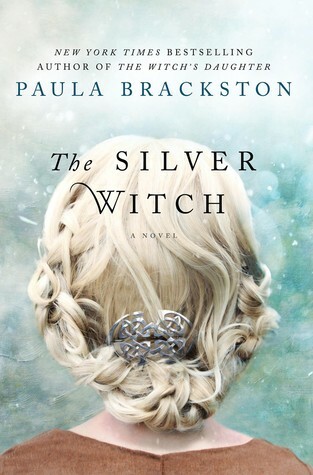 I really loved Winter Witch, and this seems very similar to that book. Can’t wait to fall in love with her lush writing again! Which books are you looking forward to in April? 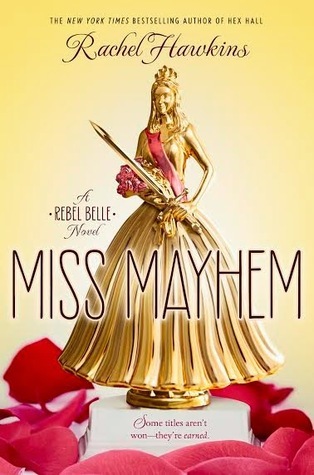 Seriously, that’s all I could think of when I read REBEL BELLE. Pick it up. Enjoy.